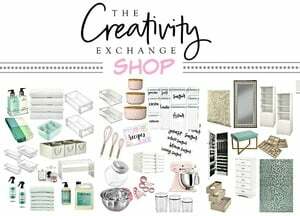 As you begin to think about Christmas decorating this year, I wanted to share some easy and creative Christmas decorating tricks that we used over the years when I was a department store visual designer and merchandiser. 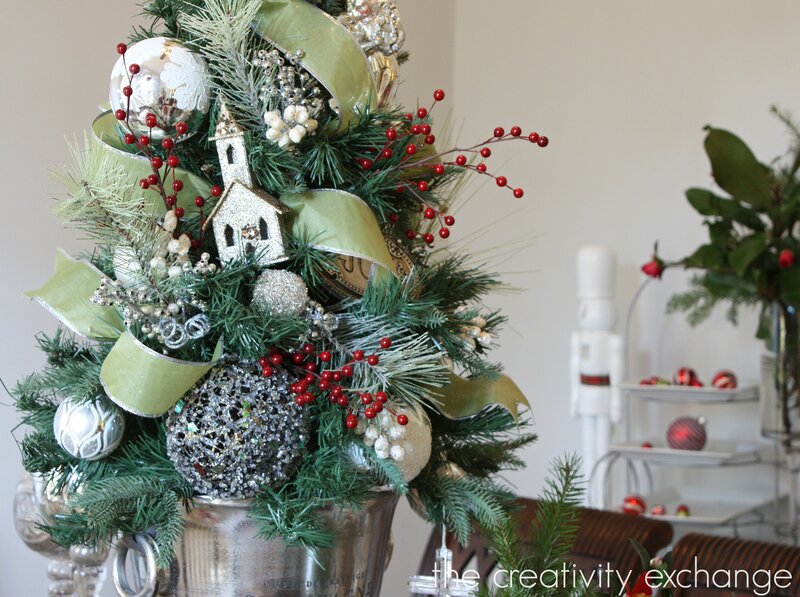 These tips will not only save you a lot of time and money but they can make your Christmas trees, wreaths and decor really look amazing! I’ll start with one of my favorite tricks that I still use every Christmas and that’s the ribbon trick. 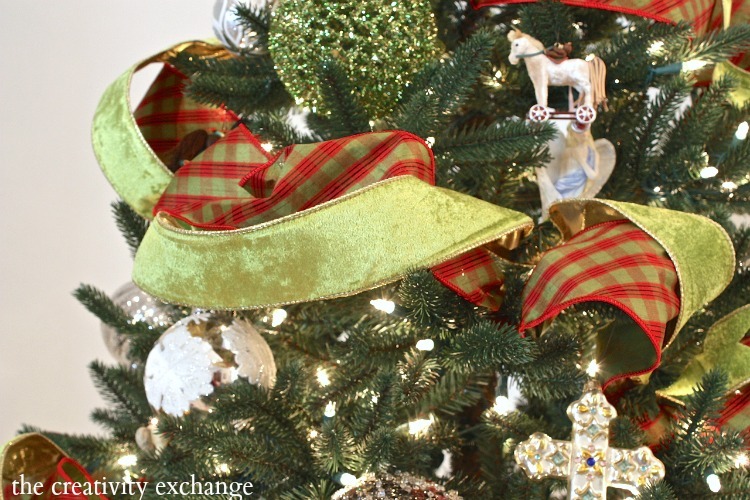 The ribbon trick is an easy way to work your ribbon into trees, garlands and wreaths. No more wrestling with ribbon or trying to figure out what to do! 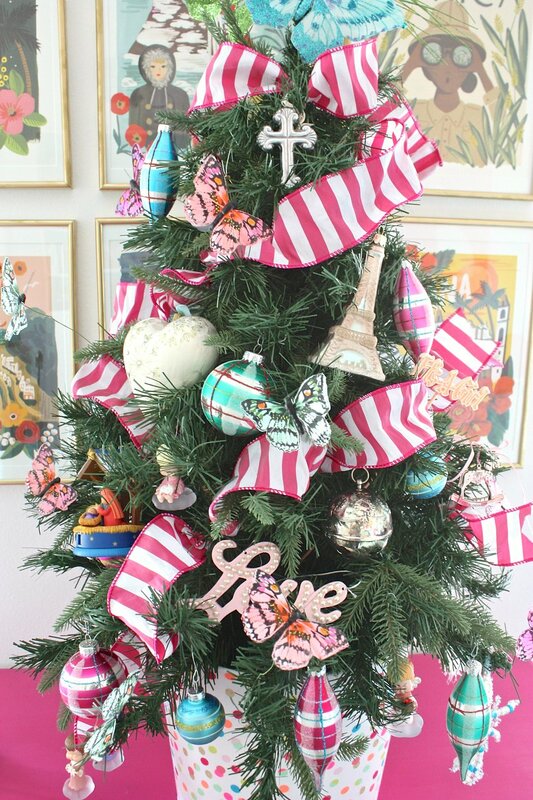 The trick is to buy wire ribbon and begin either at the top of the bottom of the tree/wreath/garland. This will only work with artificial trees (or you can do this on live trees by using wire). Begin by slipping the ribbon deep into the tree and find a branch next to the ribbon (hidden deep) and use the branch like a clamp and fold over the little branch and squeeze to hold the ribbon. 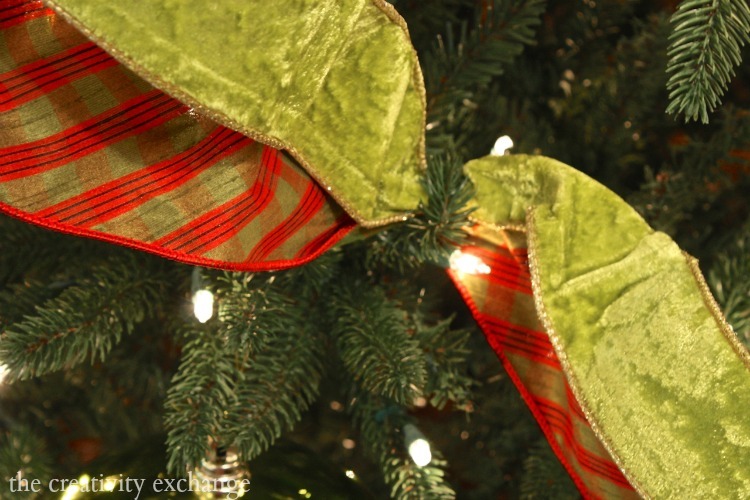 Now that the start of your ribbon is clamped and hidden, pull your ribbon out to the front of the tree and begin working it down and then every so often, pull the ribbon back deep into the tree and clamp again. So, you want the ribbon to basically disappear into the tree and come out elsewhere near where it went in. This way, it looks like the ribbon is worked in and out of the tree. Make sense? I shared a detailed tutorial on the ribbon trick a couple years ago here, if you need more instructions. One of the reasons department store Christmas trees look so beautiful is because we do several things to add dimension. The added dimension really helps to make colors pop and the tree look magical. 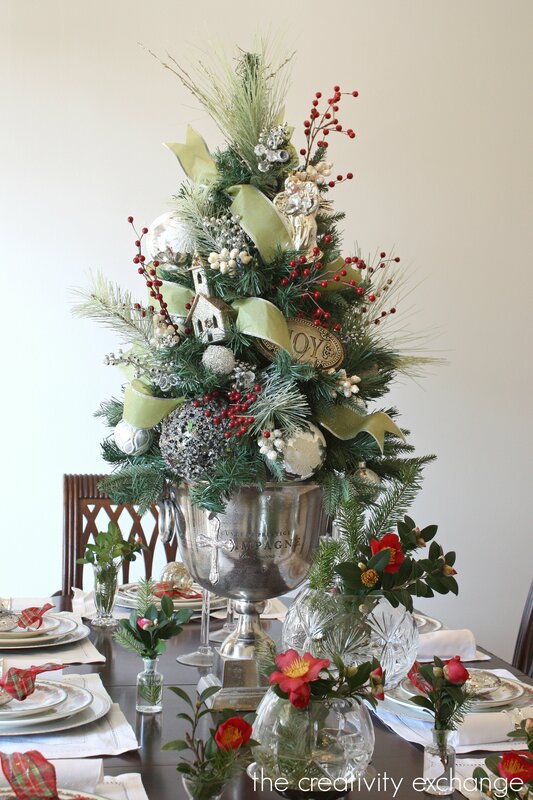 Of course, an easy way to add dimension is by working in sprigs, stems and things like berry sprigs. A quick trick for how to work stems/sprigs into trees is to slip them in at the angle the way they would grow on a tree and don’t push them in all of the way. Just push them in enough that they will stay. This gives that added dimension. 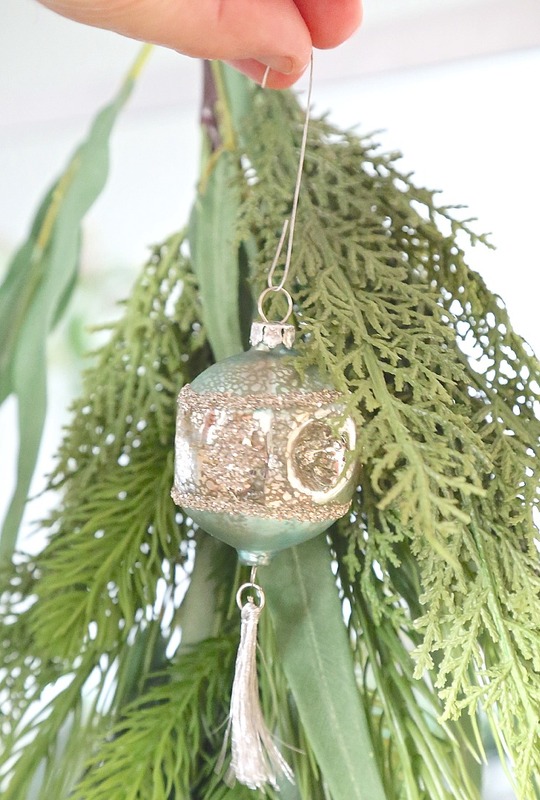 Another way we add dimension is to hang or wire ornaments deep into the tree, not just on the surface of the tree. When you decorate your tree this year, try hanging lighter colored Christmas balls deep into the tree first before you decorate the rest of your tree. 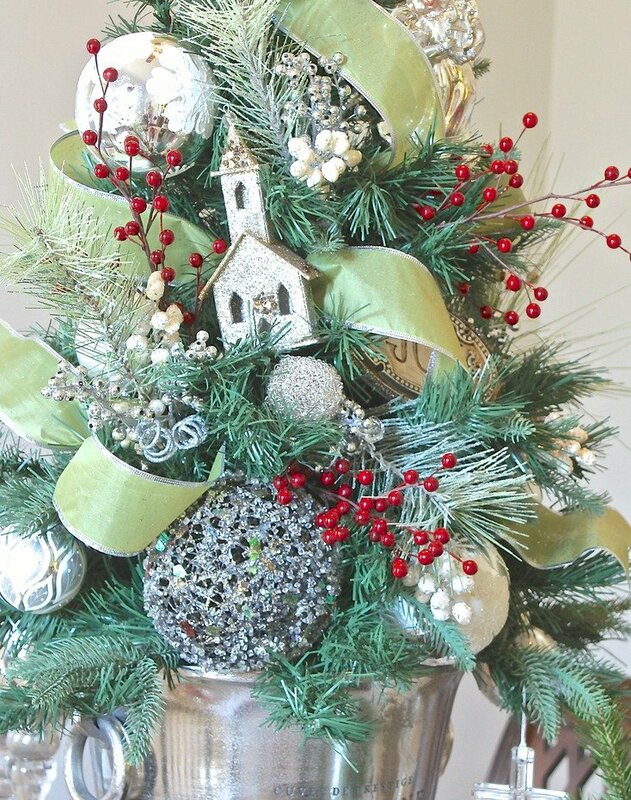 You’re tree will look amazing with the added lighter color and dimension. 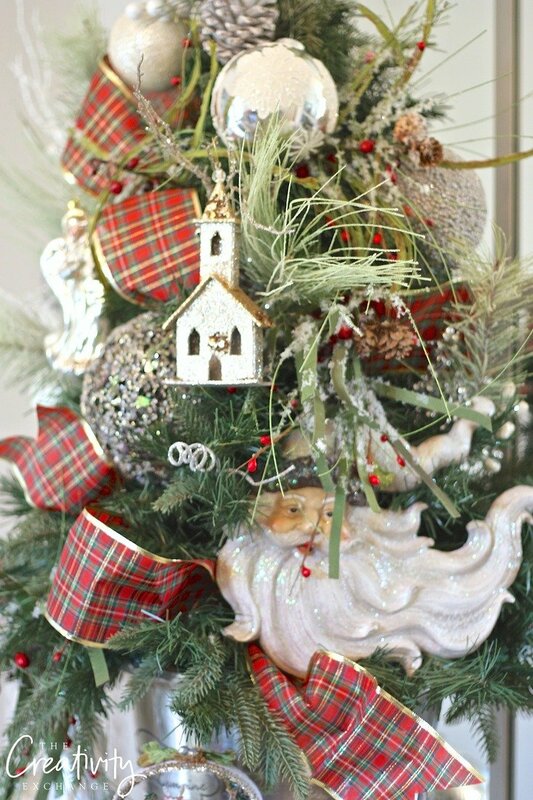 Take a closer look at the tree below, notice how some ornaments are deeper into the tree. Also, if you have sprigs and stems that are really thick, you can simply pull them apart for just a couple berries or a sprig here and there. Another favorite trick that we used in my visual design days is to use an ornament hanger like wire. You have so much more control and can hang deep on the branch and wire the ornament to the tree. 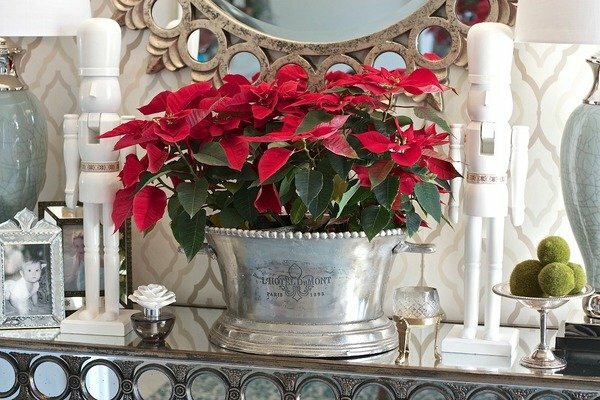 This trick really works best on mantle garlands, wreaths and smaller trees. 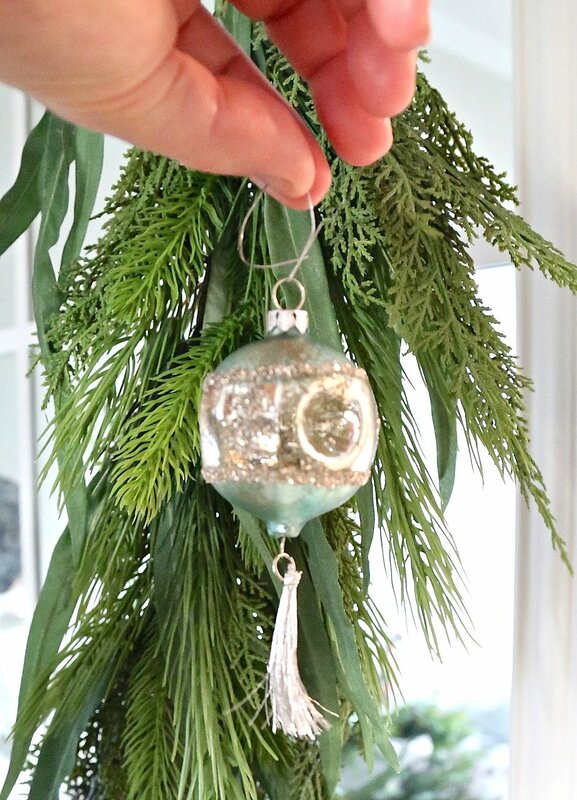 You can also simply make a loop to hang the ornament deeper in the tree. Just take the top part of the hanger and wrap it around a branch. The trick is to wire it deeper on the branch into the tree, so you can see the wire. It’s hard for me to show you this precisely but you will notice as you look at all the trees below, very few of my ornaments are hanging from a branch. Instead, I used the hangers as wires deeper into the tree, so the ornaments are more “worked” into the trees. 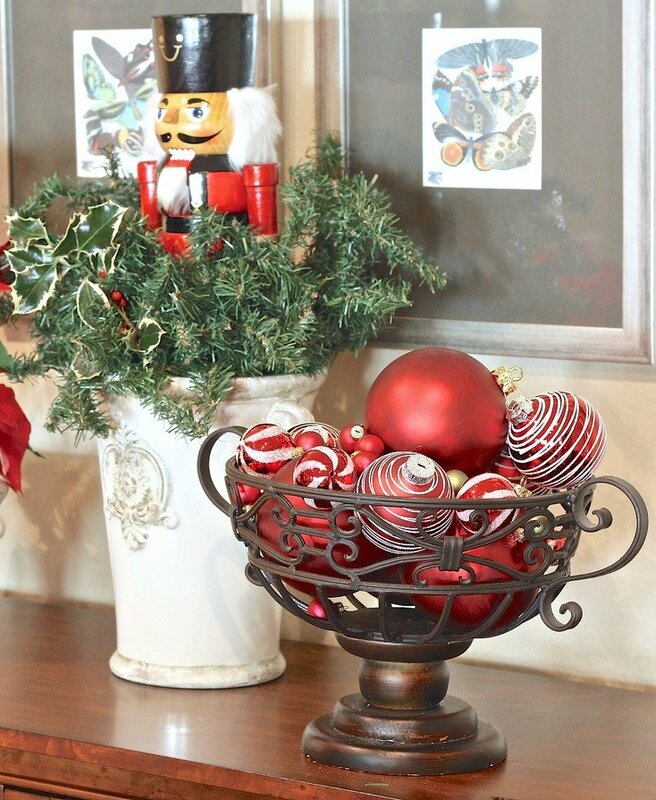 We use to create a lot of top of the counter type Christmas arrangements and one of my favorite displays was this nutcracker “popping out” type of arrangement. The way to make the nutcracker arrangement is to cut a floral brick to fit the inside of an urn or container and rest the nutcracker inside on top of the floral brick. Next, simply fill the urn with greenery. 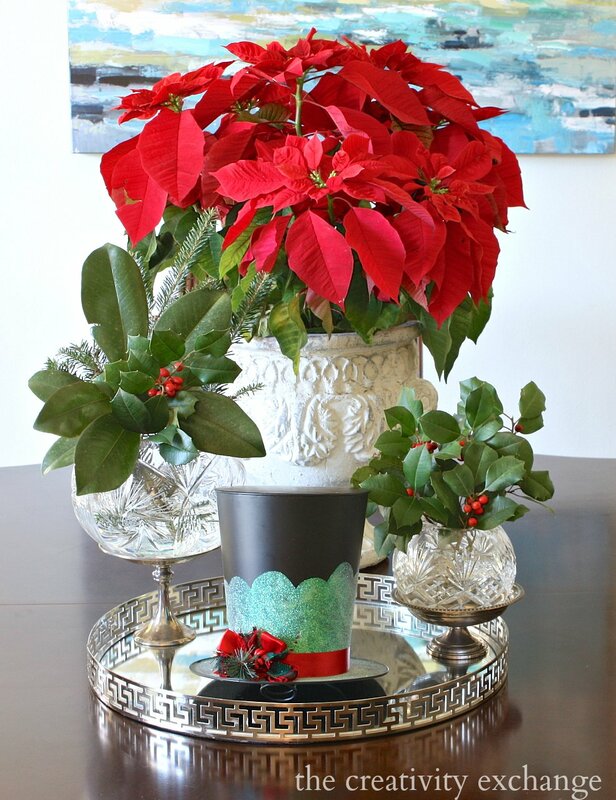 It works best if you cut with wire cutters enough greenery from an artificial pine garland. Just fill and then layer. 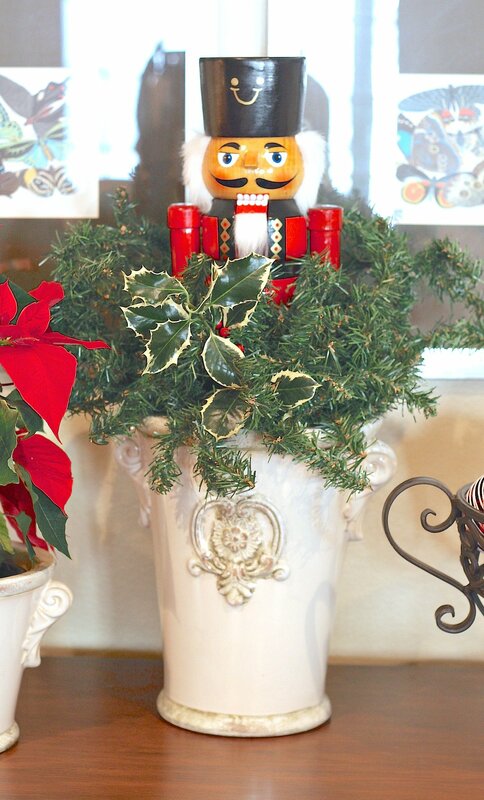 When the greenery is up to the nutcrackers chest, you’re done. 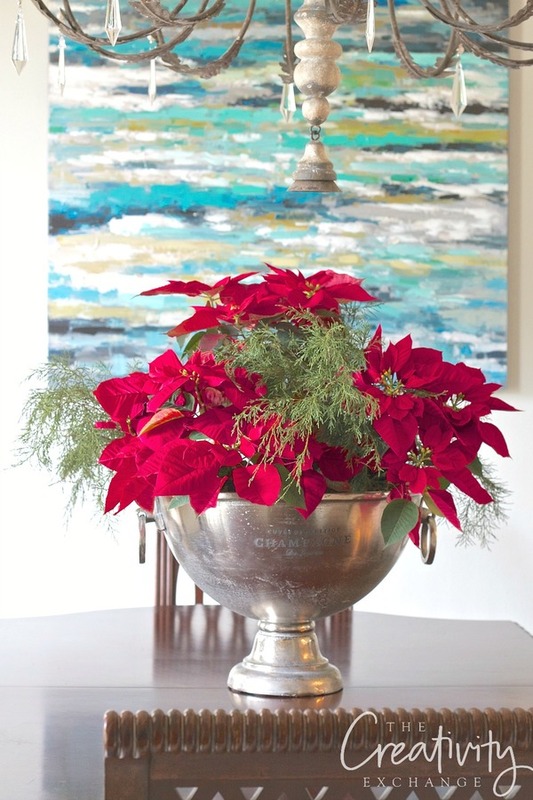 You can also add sprigs of holly or berries. 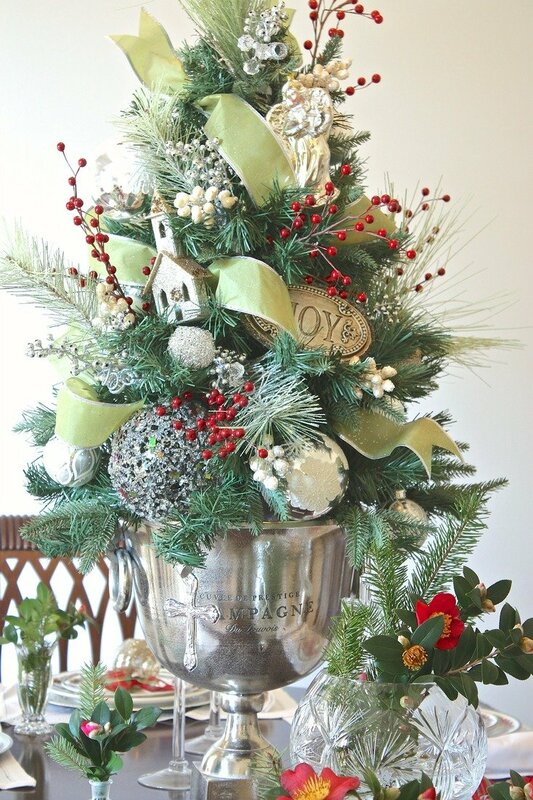 Other top of the counter arrangements we would make is that we would use large punch bowls, champagne buckets and garden urns for smaller trees and arrangements. 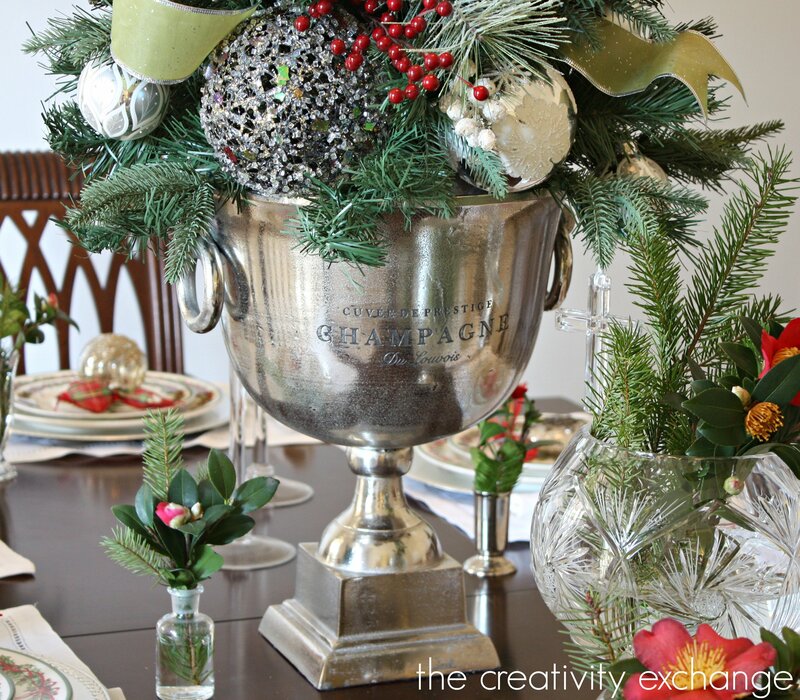 Use what you have around your yard for filler like these cedar branches I used in this punch bowl centerpiece. One last trick. 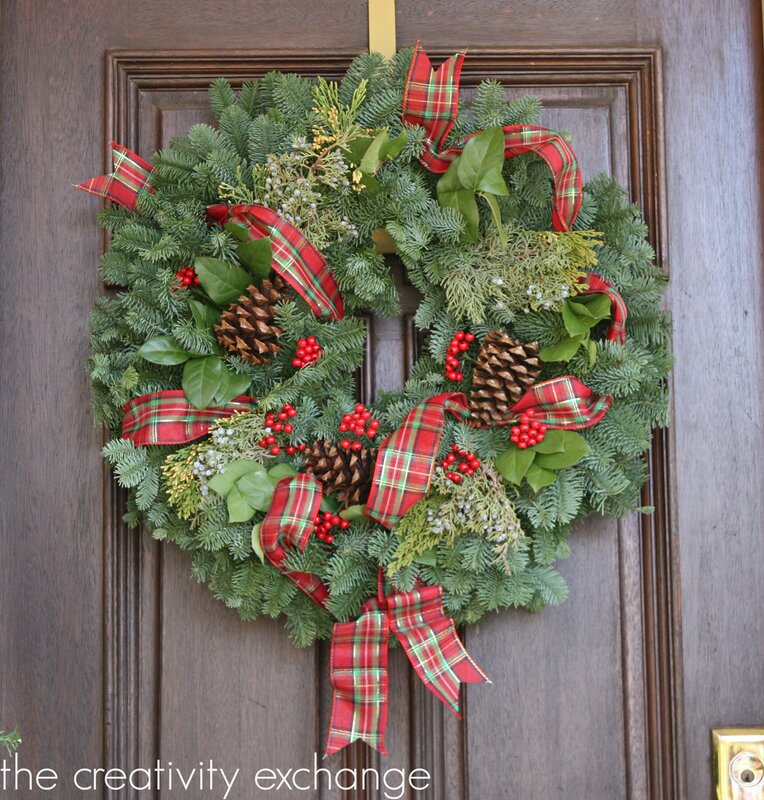 Double or even triple up on inexpensive pine garland to make it extra thick. Just connect by using branches as wire and wiring together. 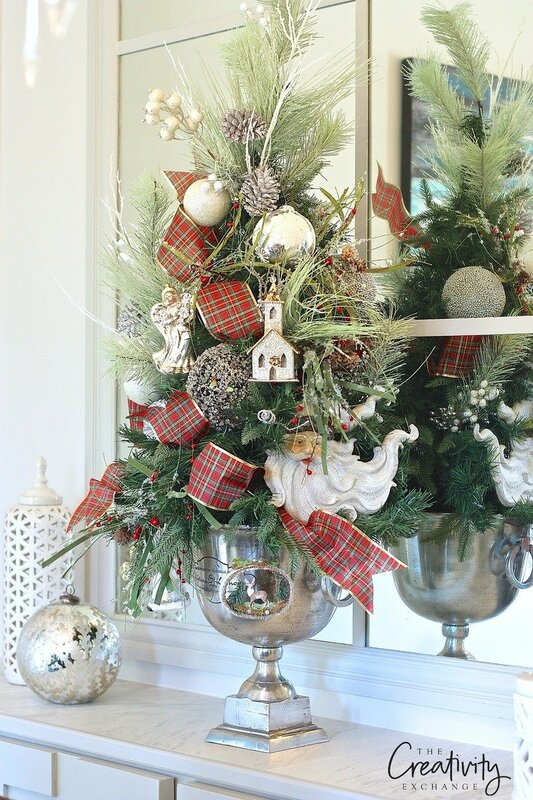 Think about mixing two or even three kinds of pine/needles. 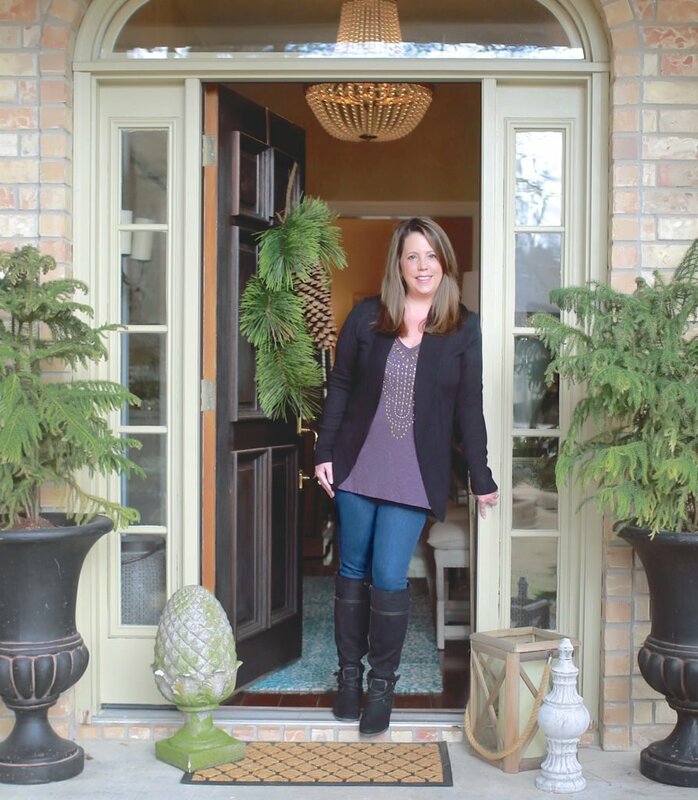 Very helpful tricks and I’m now in the mood to pull out the boxes of decorations and get started. Thanks for the motivation. Your examples are lovely. Where have you found these champs buckets, they are so beautiful!! I always love your ideas. Thanks for the inspiration! Thank you so much for sharing these tips and tricks. I’m gonna try these this year.